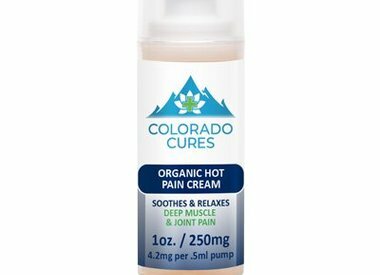 Colorado Cures is an Oklahoma based brand sourced from Colorado and born from the desire to help those in need through a more holistic and natural means than traditional pharmaceuticals. Offering a wide variety of products from smokables and edibles to sublinguals tinctures and beyond allows us to help you find a product that fits your needs. Colorado Cures raises the bar for premium standards in everything from customer service and education to third party lab testing - so rest assured if you have a Colorado Cures product, then you have the highest quality cannabis product available. 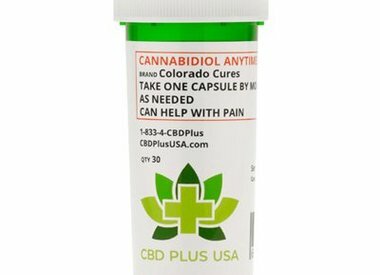 CBD Plus USA is the premier supplier of Colorado Cures products with over 50 locations open across multiple states, each locally owned and operated. Find a CBD Plus USA near you to experience the benefits for yourself! As consumers start to understand how medicinal cannabis can be used to alleviate their symptoms, they are often faced with a choice between using products made from CBD Isolate or some form of whole plant extract. So, what exactly are the different types of products available and how do you choose one that is right for you? CBD Isolate is simply purified CBD that has been extracted from the cannabis plant and isolated from the other cannabinoids. CBD isolate is pretty much exactly what it sounds like; pure, isolated CBD compound all by itself is used as the active ingredient in the product. It exists as a white powder and contains no other active compounds. When a CBD product is referred to as Full Spectrum or Broad Spectrum, it means that the product contains other active plant compounds in addition to CBD including but not limited to: CBN (Cannabinol), CBG (Cannabigerol), CBC (Cannabichromene), and/or THC (Tetrahydrocannabinol). Full Spectrum products refer to those in which no cannabinoids have been completely removed. THC has been reduced (not removed) to comply with state guidelines, but not removed completely. Broad Spectrum products refer to those in which the THC has been totally removed, but all other cannabinoids from the raw plant material are present. Colorado Cures offering the best Hemp-CBD products on the market.